DONALD Neilson is dead. The murderer known as the Black Panther, born Donald Nappey, has died in hospital at Norwich prison. 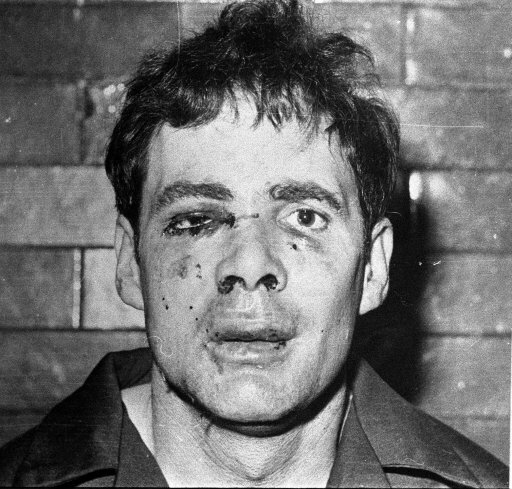 In 1975, Donald Neilson was handed four life sentences for five murders and hundreds of robberies. Neilson was dubbed the Black Panther because he always wore black in the post office robberies. Neilson turned to crime in 1965 when his work as carpenter failed to make ends meet. His first victim was Donald Skepper, the owner of a sub-post office in in Harrogate, North Yorkshire. Mr Skepper has confronted Neilson. Neilson shot him dead. That was February 1974. In 1972, Neilson might have killed Leslie Richardson in a robbery in Heywood, Lancashire. Mr Richardson survived the bullet. In September 1974, Donald Neison killed Derek Austin at a robbery in Higher Baxenden in Lancashire. He shot and killed Sidney Grayland at a sub-post office in Oldbury, West Midlands. Neilson badly beat Mr Grayland’s wife, Margaret. Bold and dangerous, in November 1974, Neilson kidnapped 17-year-old Shropshire heiress Lesley Whittle. He wanted a £50,000 ransom. He threw his naked victim down a drainage shaft with a wire noose around her neck. In 1975, police spotted Neilson hanging around a sub post-office. Neilson kidnapped one of the coppers at gunpoint. He made him drive. But Stuart McKenzie thought quickly and drove at speed into a shop. Nielson was overpowered. In July 1976 Neilson was convicted of four murders. He died in prison. Ian Brady – Moors murderers who tortured and killed three children with Myra Hindley.